The last month of the spring 2014 promises to be very interesting and eventful, because in May lots of projects, anticipated for a long time by many gamers of all over the world, will be released. That’s why today we have tried to gather for you only the most interesting May game releases, and we hope that even if you aren’t a fan of all these projects, the launch of which will take place the next month, you will find in this list at least one game for you. The first project, which will be released in Europe in a couples of days, is the next instalment in The Amazing Spider-Man series. This action-adventure promises to delight the gamers with the improved graphics and game mechanics, lots of new and incredibly danger villains, the extended web arsenal and the possibility to play as Spider-Man or Peter Parker. As it seems to us, the project will be very interesting. And due to the fact that it has already been released in the NA on the current and next-gen consoles, as well as on PC and 3DS, we are happy to present you its launch trailer. The next point in our May game releases is the launch of the second huge Call of Duty: Ghosts DLC, entitled Devastation. Although this add-on was available for the owners of Microsoft’s consoles at the beginning of April, the other gamers will be able to get it only on the 8th of May. This DLC will bring into the game 4 fresh maps, the new type of weapon and another one level, titled Mayday, for Extinction mode. We suggest you watching the add-on’s trailer in order to decide whether to buy this DLC or not and to imagine how the new monsters look like. 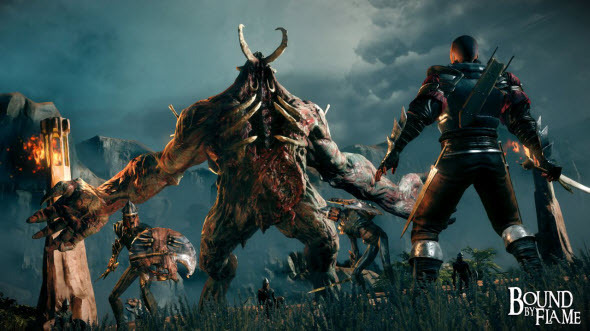 Killer Is Dead game for the current generation of consoles was released at the end of the summer 2013, but the owners of PC, who wanted to play this project too, didn’t get a such opportunity because of its absence. That’s why the developer of this action with the elements of hack and slash has decided to create the PC version of the game, the release of which is scheduled for the 9th of May. Killer Is Dead game, which is telling the story about the professional killer, who is defeating the dangerous criminals, will be available in the Nightmare Edition. It includes the new difficulty level, the Theater Mode, which provides you with the detailed description of the characters, and an additional Smooth Operator Pack. And already now you can imagine, how the PC version of the game will look like, thanks to the video below. Bound by Flame game - action-RPG - is also included in the game releases, which will take place the next month. This project touches the problem of the eternal fight between the evil and the good sides in the human. The game’s protagonist, which is possessed by a demon, will be in a constant state of the internal struggle - to use the dark powers and eventually become the evil one or to reject them and use only the heroic talents. The game’s scenarios and the offered quests will completely depend on the choices and decisions made by the player. Bound by Flame will be launched on the 9th of May for the current generation of consoles, PC and PS4. The next instalment in Wolfenstein series, the release of which is planned for the current and next-gen consoles, as well as for PC, will take place less than in a month - on the 20th of May. 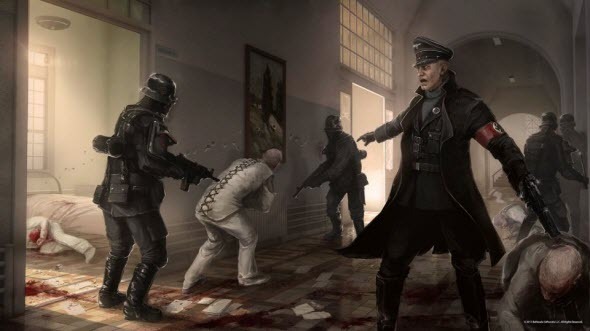 Wolfenstein: The New Order will tell the story about the alternative reality, in which the Nazis have won the World War II, and now they are setting the new world order, using fantastic and powerful technologies and innovative weapons. We would also like to pay your attention to the fact that those who will pre-order this game will get an exclusive key to the beta test of another anticipated Bethesda’s project - Doom 4. 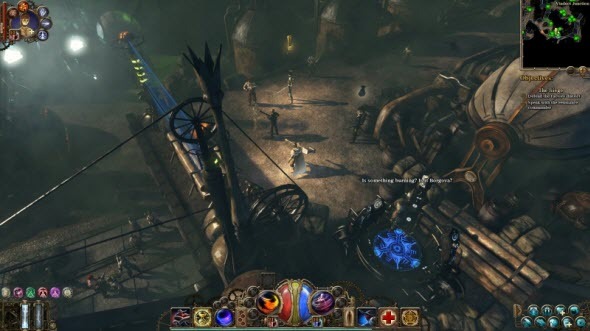 Another one popular action-RPG, which is presented in May game releases, is The Incredible Adventures of Van Helsing 2 game. The sequel in this series will let you play as the son of professor Van Helsing, the main goal of whom is to kill as much foes in Borgovia as he can. In The Incredible Adventures of Van Helsing 2, you will get lots of features and changes such as 3 new playable classes, the extended and improved skill system, the multiplayer for up to 8 players, the new monster and many other things. The launch of The Incredible Adventures of Van Helsing 2 game is scheduled for the 22nd of May on PC and Mac. If you are a fan of the construction and management simulators, then you will like for sure the next game release. Thus, the launch of Tropico 5 game - the next instalment in this series - will take place on the 23rd of May on PC. This project promises to delight the gamers with the improved graphics, lots of new eras, the cooperative and the competitive modes, as well as the new trade system. As for Tropico 5 releases on Mac, Linux, Xbox 360 and Playstation 4, they will take place a few months later. Finally, one of the most anticipated games of this year - Watch Dogs - also will be released the next month. No matter whether you will choose the current or the next-gen console or you will prefer your favorite PC - this action-adventure will look fantastic on any of these devices. A lot of adventures in discovering the secrets of Chicago and its citizens, the hacking of the most tricky devices and players, as well as an incredibly interesting walkthrough in the single player or in multiplayer modes await you here. We think that this game will be really awesome, and what is your opinion? Watch Dogs release is planned for the 27th of May. The last game, which is included in our today's review, is the flight simulator, entitled Ace Combat Infinity, from Project Aces company. The game, the launch of which is scheduled for May 28, is suitable for those who like to fly the different aircrafts, while eliminating the foes in the airspace. And which May game releases have attracted your attention? Are you going to try any of the abovementioned games? We are always happy to see your comments at the bottom of the page. Has The Amazing Spider-Man 2 on Xbox One been cancelled?